Searches can be done using a property address, assessor account number, parcel number, or by searching for a property on the map. 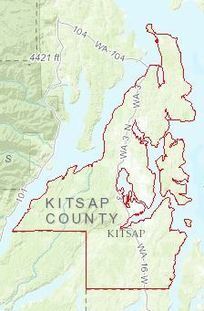 The system's functionality mirrors that of the existing Kitsap County GIS system in an effort to be consistent and user-friendly. Each property record in the Health District's system is also linked directly to the property records in the County Assessor's system for convenience. To access the new system, visit www.KitsapPublicHealth.org or click here.